A gauge is the measurement of the number of stitches per inch. The gauge given in a pattern is simply the number of stitches the designer achieved per inch. 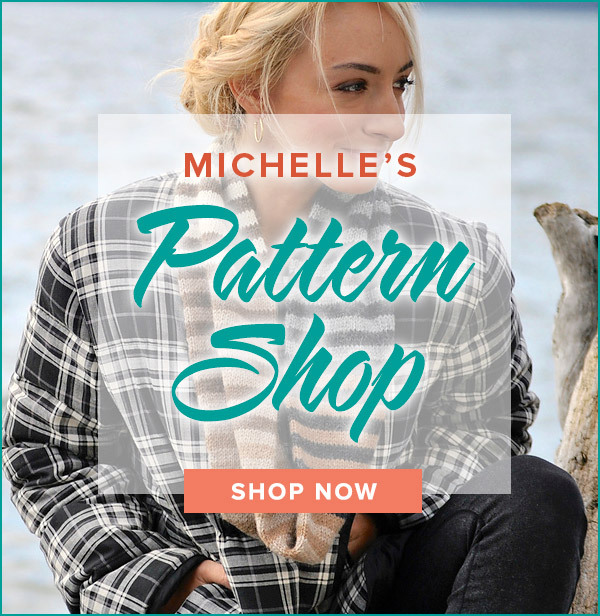 In order for your knitting to match the dimensions of the pattern, you need to knit with the same number of stitches per inch as the designer. A test swatch is knit in the required stitch pattern and suggested needle size. The swatch is then measured to determine if it matches the same number of stitches per inch as the pattern. Because each knitter has their own unique tension, it is not unusual to try several needle sizes before achieving the required gauge. This dreaded bit of experimentation is crucial to proper sizing. Check out this video and learn to correcting calculate your gauge for your next project. 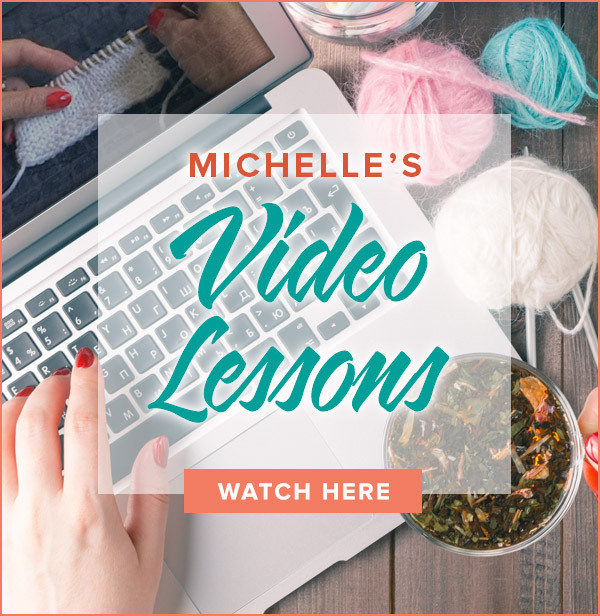 Thanks for knitting Building With Lace with me! Are you knitting with the suggested yarn, Rylie? A #3 needle seems so small to use with Rylie. The shawl does not have to “fit” so gauge isn’t terribly crucial. However, too few stitches per inch means you have bigger stitches which use up more yarn. I suggest knitting a gauge that looks pleasing to you and perhaps buying one more skein in case you run out of yarn. I am knitting the Building with Lace, I used the size 6 needle and only obtained 2 3/4″ so I reduced down to a size 3 needle and I now have 3 1/4″, suggested size to reduce to? Yarn used for swatching is not included in the yardage requirements for a project. Many knitters rip out the swatch and use the yarn in the project. I like to leave the swatch in tact and only rip it out if I have a yarn shortage. Hope this helps! Absolutely love your video lessons! Is yarn to be used for gauge swatching worked into the yardage requirements of a pattern or do I need additional yarn for my swatches?? Typically going down one needle size will correct the row gauge. You will be able to block the slightly smaller stitches per inch into the correct gauge. If the smaller needle produces dramatically smaller stitches then I would stick with the larger and keep an eye on the yarn usage. If you are nervous about running out of yarn, remove one repeat from any section on each side of of section #5. I am doing the Building with Lace and am using the HiKoo Rylie that it calls for. My gauge swatch is perfect for stitches, but my row gauge is .25 per inch off. Should I see if I can get another skein since the instructions indicate that gauge is very important if you don’t want to run out of yarn? Are you normally a loose knitter? The magic loop method shouldn’t have a dramatic impact on your gauge. Socks knit with worsted weight yarn can be knit with the needle size recommended by the yarn. I am trying to make socks with the magic loop method using worsted weight yarn. I started with a size 6 needle and have landed on size 2! Is this crazy? I usually have to make adjustments, but this seems extreme! Thanks for knitting Building Blocks with me! It is more important to achieve the correct stitches per inch than rows per inch. the slight discrepancy in your gauge can be minimized when you block the squares. Yes, I wash and block my swatch before measuring. I’m sorry about your sweater! Should you wash and dry your swatch and then rehearse guage? I knit a sweater to guage and after washing it it grew. Row gauge is not crucial to this project since we will knit the pillow front long enough to match the length of pillow. My row gauge was approximately 5.5 rows per inch. I am swatting your new KAL at 4.5 stitches per inch. Is it 4.5 rows owe inch also? Yes, row gauge is important in many projects and the row gauge is calculated in the same manner as the stitches per inch. I see you are counting the stitches horizontally. Do you ever need to be concerned about the other direction or number of rows per inch?